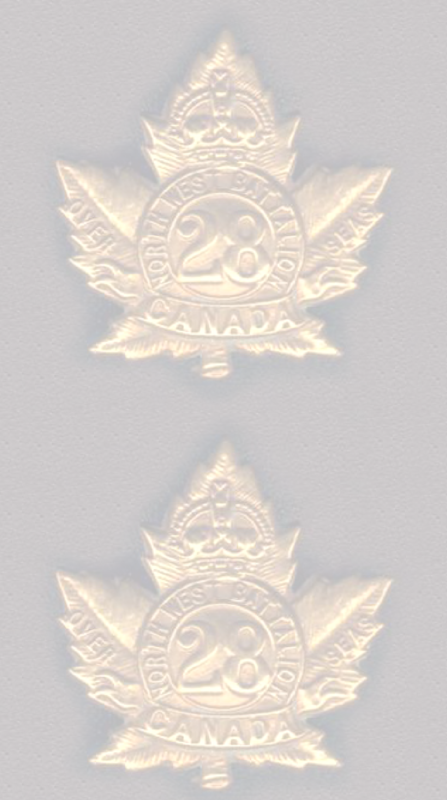 Company Quartermaster Sergeant (CQMS) assisted the Quartermaster and was a member of the Company HQ. 'He is responsible for ALL the supplies that come into the Company. Uniforms, boots, ammunition, weapons, blankets, water, food (in some circumstances food is handled by the Warrant Officer Caterer). He has a small staff. He answers to the Regimental Quarter Master (RQ) (usually a Major) and the Regimental Quartermaster Sergeant (RQMS) (usually a Warrant Officer Class 1, sometimes Class 2) as well as his own Company Commander (usually a Major) and the Adjutant (usually a Captain). It is not normally his job to go out at night on ammunition delivery runs but in the situations that war throws up many people have to do things that are not specifically in their job description. The rule is "get the job done". If the boys up front need ammo bloody well get some up there. Don't ask who's job is this? get it there. The Battle of Flers—Courcelette was the third and final battle of the Somme offensive. The objective was to break through a section of the German line and provide an opportunity for others to exploit. The objective was not achieved but the front line was advanced 2500 yards. It was the first time that tanks had been used in battle. The site is 35 km northeast Amiens and the Somme Valley. It was also when the ‘creeping barrage’ was first used to effect. The battle area extended for ten miles from Combles, on the French left, to Thiepval. Objectives of the 2nd Division, making the main effort astride the Albert-Bapaume road, were the defences in front of Courcelette. These included Candy Trench (which ran north-west from Martinpuich), the strongly fortified ruins of a sugar factory beside the Bapaume road, and some 1500 yards of Sugar Trench, which cut across Candy. From the War Diaries: (6th IB) 15 Sept. 6th Infantry Brigade carried out attack at COURCELETTE, 27th and 28th Bns assaulting. 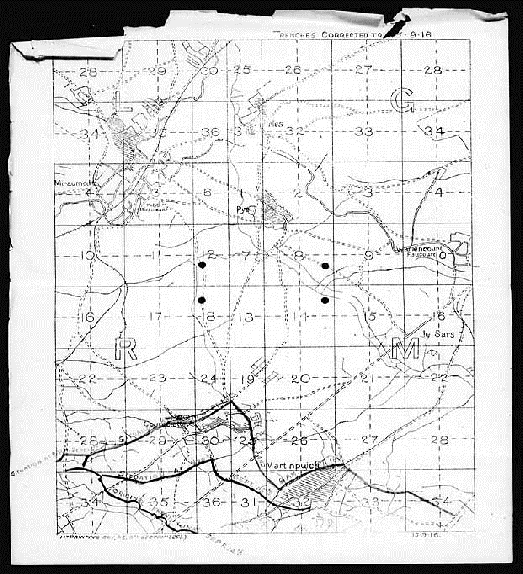 (28th Bn) 28th moved from BRICKFIELDS to point near CHALK PIT, bombs, sandbags, extra ammunitions, flares, picks, shovels drawn for men to carry. Hot meal taken up to men, interrupted by shell fire. First wave from 28th consisted of 2 platoons from A,D & C Coys (rt to left) in jumping off trench. 3rd wave, 1 platoon from each, 4th wave 1 platoon from each all ready in assembly trench behind front line trench. Tanks observed moving toward German trenches. 8.12 am message received that final objective of 28th achieved. 6.15 companies ordered out clearing wounded as they went. Given that soldiers spent most of their time behind the lines, cleaning equipment, digging trenches, training, bathing and resting, life was generally boring. Originally a small French Café, estaminets became about the only place where men behind the lines could get alcohol, food, a sing-song and some female company. While providing a useful outlet for war weary and bored men, they also led to difficulties. The danger to the troops from alcohol –related accidents, illness or discipline difficulties, was of considerable concern to the Army command, - not to mention sexually transmitted diseases which were not easy to treat.